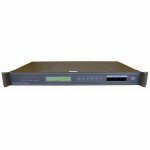 DC-603/605 is a flagship series of high-end digital CTI receivers. 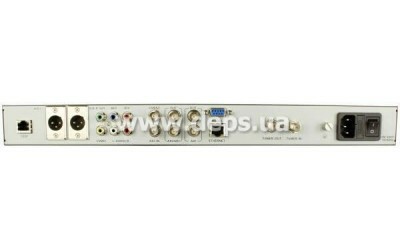 Depending on model, receivers of this series can be equipped with various combinations of inputs (ASI, QPSK, QAM, COFDM, DS3) and outputs (CVBS, SDI, ASI, DS3, IP). Models equipped by relevant IP output can be used for video streaming over TCP/IP networks. In this series, remote control and monitoring of devices are realized via SNMP or HDMS software. Option of SW update over the network. 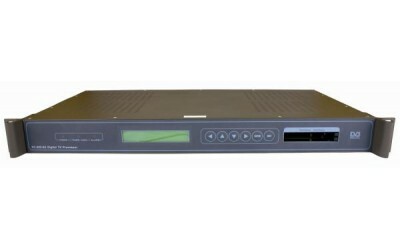 VoD server Anevia Toucan is designed for recording and IP broadcasting of multiple simultaneous flows. Anevia Toucan fully complies with international standards and is fully compatible with the most of IP STB available at the market. In combination with Anevia ViaManager, several Anevia Toucan streamers can be grouped into cluster (with centralized management), thus allowing to serve the unlimited number of simultaneous users. 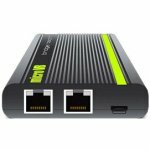 IPTV STB Amino AmiNET 130 For service providers, IPTV set-top box Aminet 130 ensures the inexpensive end solution for high-definition digital TV provision – in the form of multicast broadcasts, video on demand, and support of distributed deployment. At that, service operators can offer the high-quality digital TV services at minimum cost.